Design Originals-Zentangle 5. 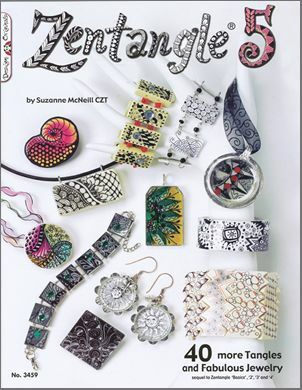 This next book the series by Suzanne McNeill focuses on jewelry. There is a wide variety of jewelry in here. 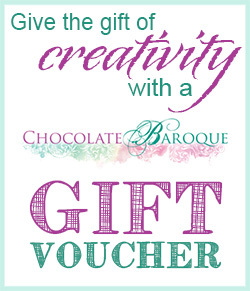 Leather, dominoes, resin, shrink art, polymer clay, and more are included. The pictures are detailed so you can really see what is involved. There are projects from a number of different artists (many CZT's) so each project reflects the different styles of each artist. 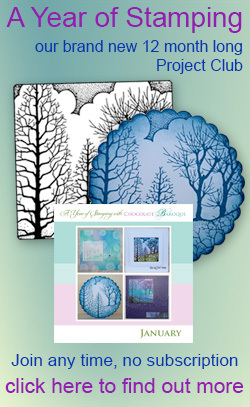 There is an assortment of new tangles too, with step by step instructions.Readers will learn how to create tangled jewely with step-by-step instructions, which includes embellishments for shrink art, polymer clay, bottle caps, wood, resin and other surfaces. Zentangle 5 has 40 more tangles to learn and enjoy.